Musicians collaborating. Impromptu dance performances. Everyone sharing the joy of all things Irish. CICF features five stages of music. Schedules will be available in early July. Reference our Fest FAQs for answers to the most commonly asked questions. Interested in becoming a sponsor, vendor, or volunteer? Contact CICF to get involved! Welcome to the home of the Cleveland Irish Cultural Festival. Here you'll find info on the festival, as well as Irish culture, and how it survives in the hearts of those whose ancestors migrated here in centuries past. 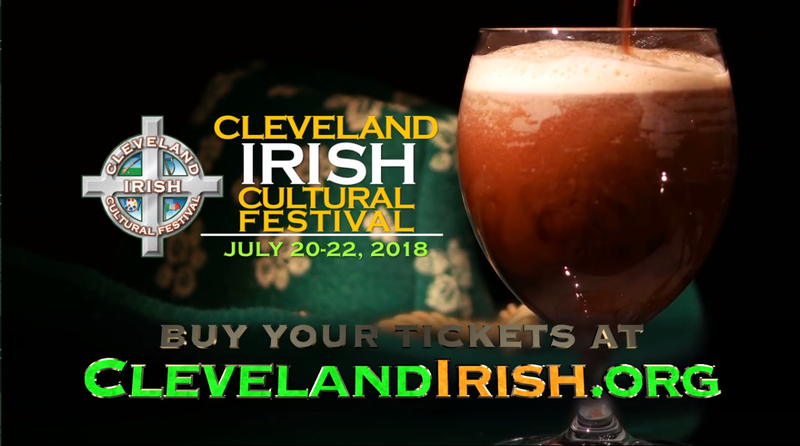 For over 37 years, Cleveland Irish Cultural Festival has celebrated Irish heritage with great Irish bands, step dancers, children's activities, plays, food & exhibits. Cleveland Irish Cultural Festival has donated more than $770,000.00 to local and national charities since its 1983 inception, due to your continued generous support. ADMISSION: Tickets are $12 per person, and will be available for purchase online, as well as from ticket booths at both the Bagley and Eastland Road gates. Parking is FREE and children under 10 gain FREE admittance.